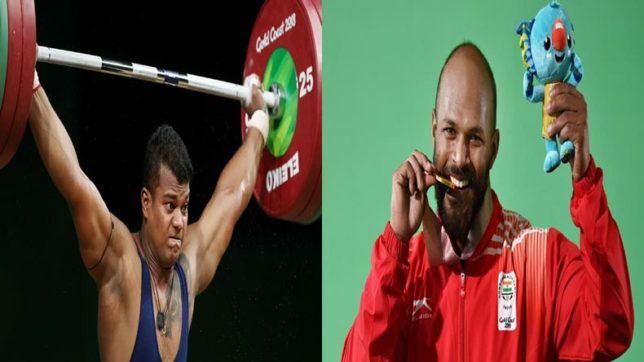 XI Commonwealth Games in Gold Coast which had taken place recently in Australia, Indian wrestlers ruled the roost. 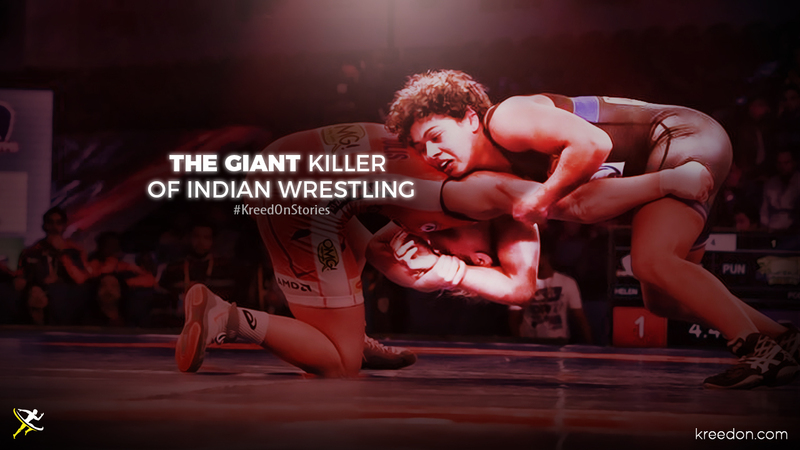 12 wrestlers were out there to compete, all of them returned with medals, and one of them was Pooja Dhanda. Pooja with her 2018 CWG Silver medal. 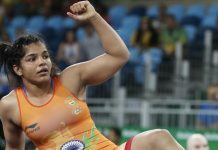 Recently, there has been a sensation in the Indian wrestling circuit, Pooja Dhanda was born on 1 January 1994 in Budana village of Hisar district in Haryana. With barely 2% of India’s population, athletes from Haryana won around 40% of the gold medals at the recently concluded CWG 2010. 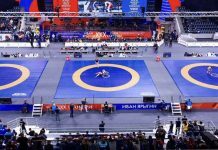 In recent time, more than half of the Indian wrestling team that participates in various international and multi-sports events belong to Haryana. In fact, the kids of Haryana take to wrestling like ducks to water. Being a wrestler and boxer is an honor in the state. You can find an akhara in every village and during the morning and evening, you will always find youngsters slugging it out in the mud. Talking about Pooja Dhanda, she wasn’t attracted to wrestling at first. 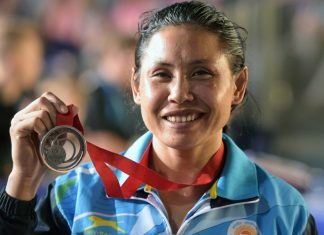 She started her career as a judoka but joined wrestling in 2009, on the advice of wrestling coach and Asian Championship winner Kripa Shankar Bishnoi. Bishnoi advised Pooja that her body structure and interest was more suited to wrestling than judo. 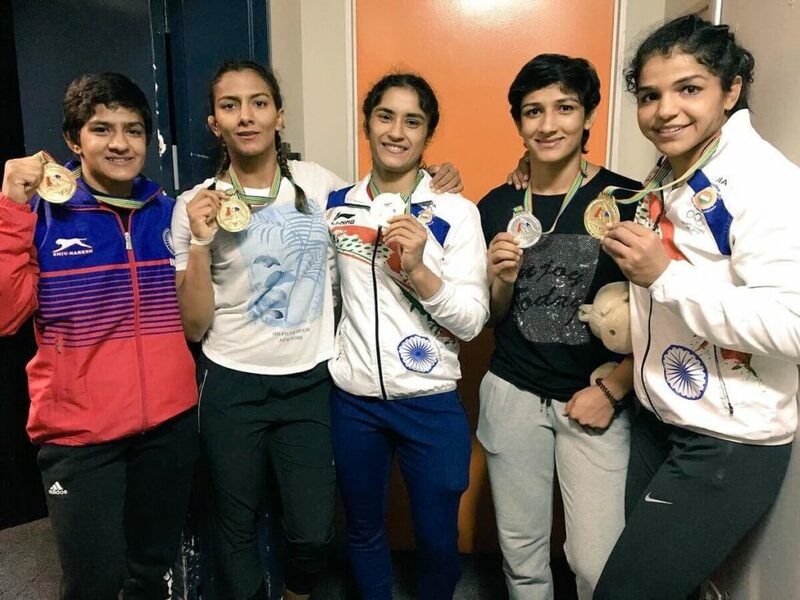 Women wrestlers from Haryana are always at the forefront when it comes to winning medals for India. Geeta Phogat was the first Indian female wrestler having qualified for the Commonwealth Games 2010 & won the first ever Gold in women’s wrestling for the nation. Babita Kumari Phogat won the silver medal at the 2010 CWG & 2018 CWG including a bronze at the 2012 World Wrestling Championship. Sakshi Malik became the first Indian female wrestler to win an Olympic medal for the nation when she claimed a Bronze medal at the 2016 Summer Olympics in the 58kg category. Pooja started as judo player at Mahabir Stadium but switched to wrestling in 2009. Before 2009, Pooja Dhanda had already bagged three international medals in judo. She has received the silver medal at the girls’ freestyle 60 kg occasion in the 2010 Summer Youth Olympics at Singapore, dropping to Mongolia participant Baatarzorigyn Battsetseg at the final. Started the tournament in 2013, she conquered Babita Phogat at the closing. She has engaged four times in the senior national and appeared each Time to be a champion. In the Pro Wrestling League, she has defeated Helen Maroulis who is the World and Olympic champion of USA twice. 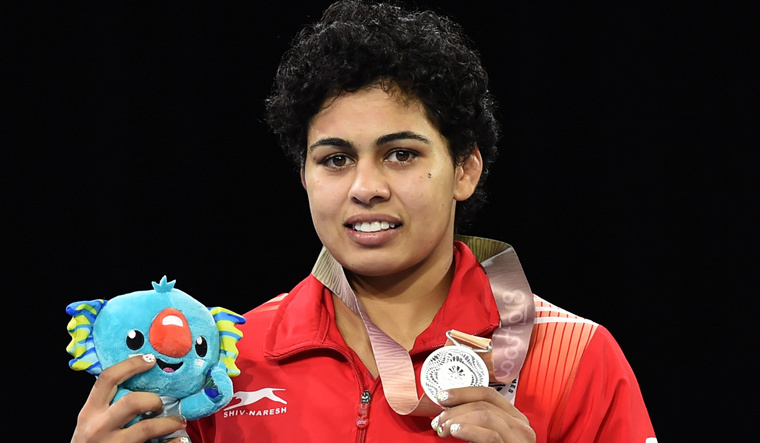 She won the silver medal in the 2018 Commonwealth Games at Gold Coast in the women’s 57kg freestyle wrestling after losing to Nigeria’s Odunayo Adekuoroye 7-5 in the final. In November 2015, Dhanda suffered an Anterior Cruciate Ligament (ACL) tear during a practice session. This During a training camp in Lucknow and doctors advised immediate surgery. Constant injury problems are something that Pooja has overcome in the recent past. “It’s impossible for a wrestler to come back once gone through a surgery”. This was people’s statement which grew fear in Dhanda’s mind. However, her parents kept her motivated and positive through the trying period. She had to undergo a lengthy rehabilitation period to return the mat. Dhanda’s problems were compounded as she was unable to find a physiotherapist in Hisar, her hometown. Which left her looking out for them in places such as Delhi. However, she wasn’t able to find one, who could see her on a daily basis, which was important. Then she received a call from her coach Kuldeep Singh Bishnoi, who was in Mumbai and was helping out in the movie Dangal. “After four months I entered the state championship and lost my first bout. My leg extension still wasn’t up to the mark. I called my doctor in Mumbai and he told me to come in once again,” said Dhanda. After inspection, results revealed that Dhanda had four to five blood clots in her knee, which was restricting her movement, Another surgery was required. “I started getting a lot of negative thoughts. Mentally I became disturbed and was sure that my career has come to an end,” she said. The knee injury brought in some of the lowest moments of her life and forced her into a rehabilitation phase for almost two years. Giant Killer in Pro wrestling League. After she came out of her second surgery in December 2016, Dhanda was happy to walk again. She started working on rehab and then made her comeback with the PWL season 2. In the third Pro Wrestling League season, She conquered World Championship silver medallist and Olympic bronze medallist Odunayo Adekuoroye of Both Nigeria and Also World Championship silver medallist Marwa Amri of Tunisia during the course of this tournament. Basically, the Team Is Attempting to Attract in the level of Rivalry That’s best in the world to Ensure our wrestlers are exposed to the best talent Internation. Women Indian wrestlers get an opportunity to compete with wrestlers from across the world at your home ground. Young wrestlers can learn a lot from Olympians and world champions in the team. She still has a long way to go to achieve her dream of an Olympic gold. She may have given the role in a wrestling biopic a miss, but an Olympic gold could well ensure a film being made on her own life. Winning the Olympic Gold is the ultimate dream of Pooja Dhanda. Pooja was offered Babita’s role in the Bollywood blockbuster Dangal but she preferred her wrestling career to act and chose to devote that time to regain physical fitness. Pooja holds a masters degree in English.